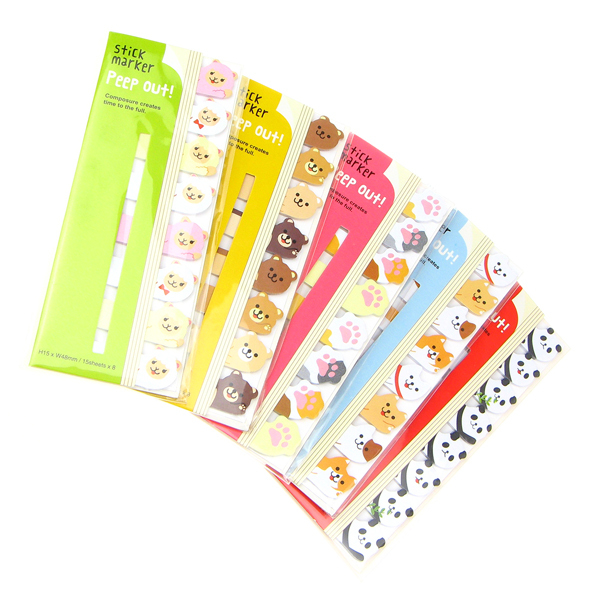 The Kawaii Animals Peep Out Stick Marker is ideal for making revision kawaii. Whether placed in books, on posters or just as little reminders, these kawaii designs come with a sticky back to enable you to place them to your heart’s content. Each pack has eight different designs and each design has 15 sheets, so you get 120 stick markers in total in one pack. There are five different designs in this series including panda, alpaca, brown bear, shiba inu puppy, cats, and paws. The pack is also specially designed in such a way that it can be slipped inside your organizer if you wish. Images are for illustrative purpose only. Colours and design may vary. One random design will be sent out. If you buy more than one, then we will make sure that you receive unique ones.